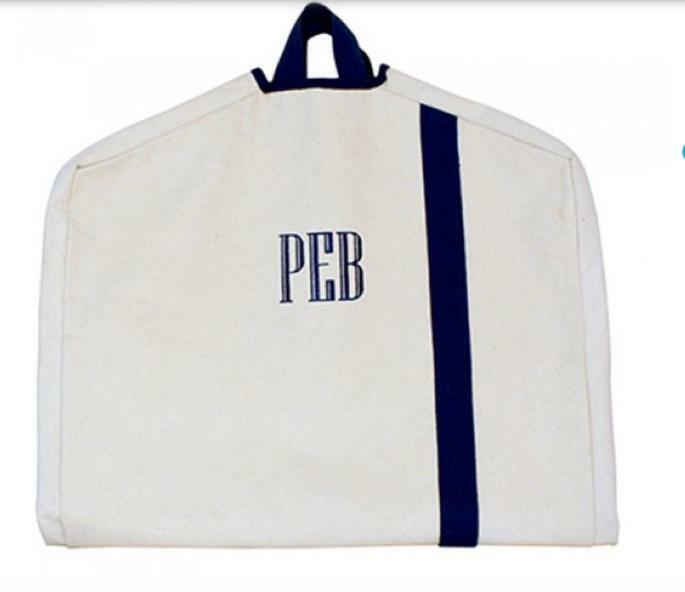 Protect your on-the-go wardrobe in style with this one of kind heavy duty canvas Garment Bag. Whether you're traveling with suits, dresses, or just clothes you don't want to fold and cram in your carry on, this sturdy accessory is a must have. Complete with two roomy inside zip pockets to house your smaller accessories and soft cotton web handles for comfortable carrying, we surely thought of everything with this one. 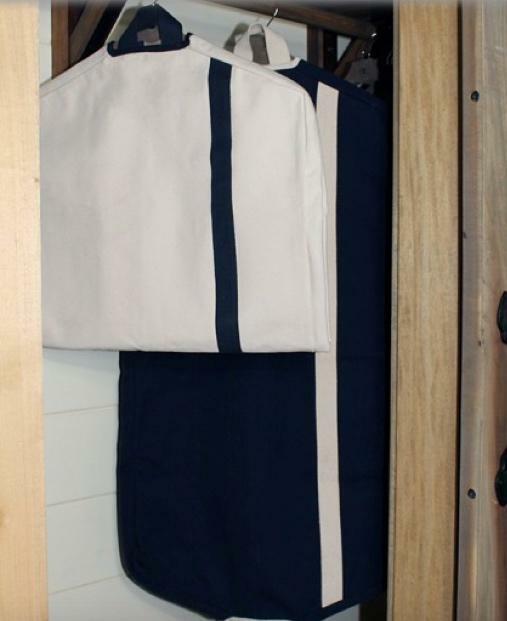 Pick up this rich navy canvas body Garment Bag with natural front stripe and accents before your next trip. The natural canvas has a nay trim and the black canvas has a ivory trim natural trim. Price: $70.00 In stock! - Browse this brandOur products are custom made to your specifications. This product ships up to 2 weeks after your order is placed. 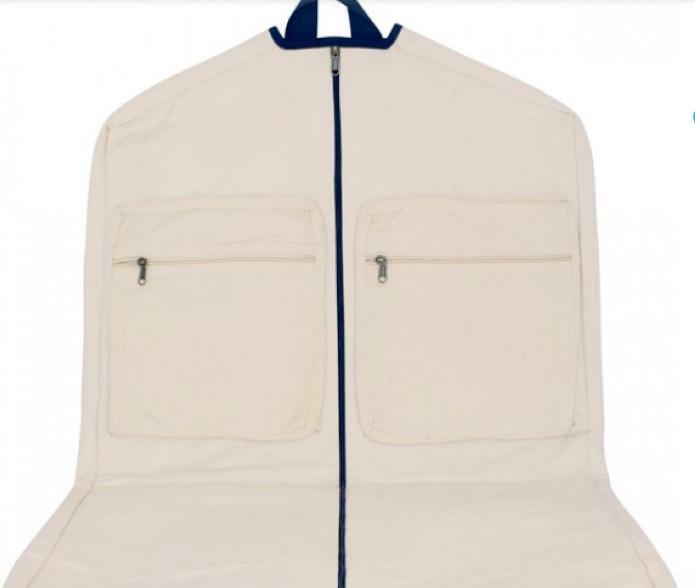 Choose your color garment bag.